Guys, Mike and I came up with the craziest idea…meal prep baking! Why should savory things have all the fun? 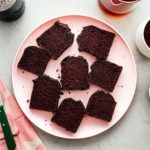 This is a small batch little chocolate loaf cake recipe that you can make on Sunday, cut into 8, and have a piece for everyday of the week. Plus, one for the day you bake it. It keeps in the fridge tightly wrapped and tastes good cold (does anyone else like cold cake?!) or at room temp. 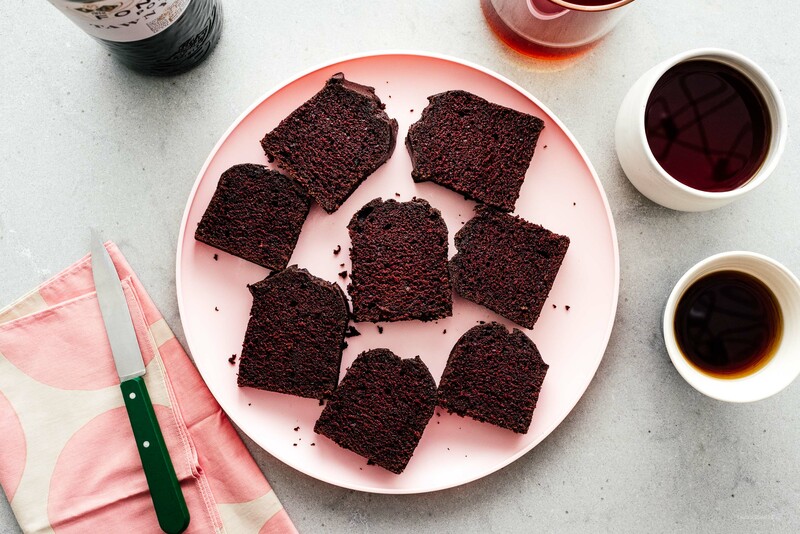 I love this recipe because it uses no eggs – it’s one of those “wacky cake” recipes. You know, the ones that happen to be vegan? I think they were invented after the war, when milk, butter, and eggs were rationed. It’s a pretty genius recipe and awesome because you usually have all of the ingredients in your house. There’s no creaming of sugar or anything finicky; it’s essentially a dump cake. 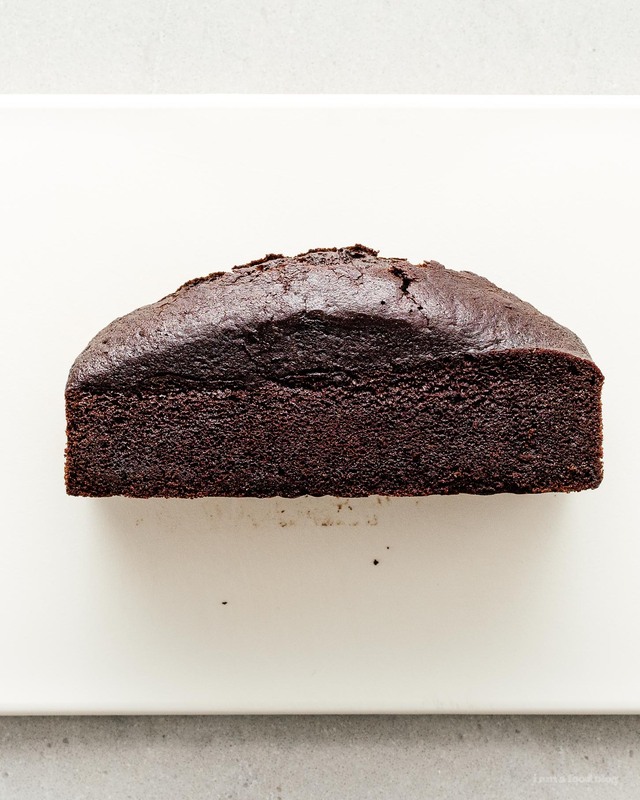 It’s super moist, lightly sweet, sturdy yet delicate with a tight crumb, and just a hint of chocolate. If you like, you can definitely increase the chocolate content by adding in some chocolate chips or chopped chocolate, but I liked it as is, especially since (according to a calorie counting website) it only comes out to 130 calories per slice, depending on the slice. To be honest, I’m not sure how those calorie figuring out sites factor in the calorie count for loaves because they dome so the slices in the middle seem so much bigger than the slices on the end. Anyway, this loaf is a keeper, especially if you like chocolate and small batch loaf cakes. I’m on the small batch loaf train and I’m never getting off! Note: All the chocolate flavor comes from the cocoa, so make sure you use the good stuff. 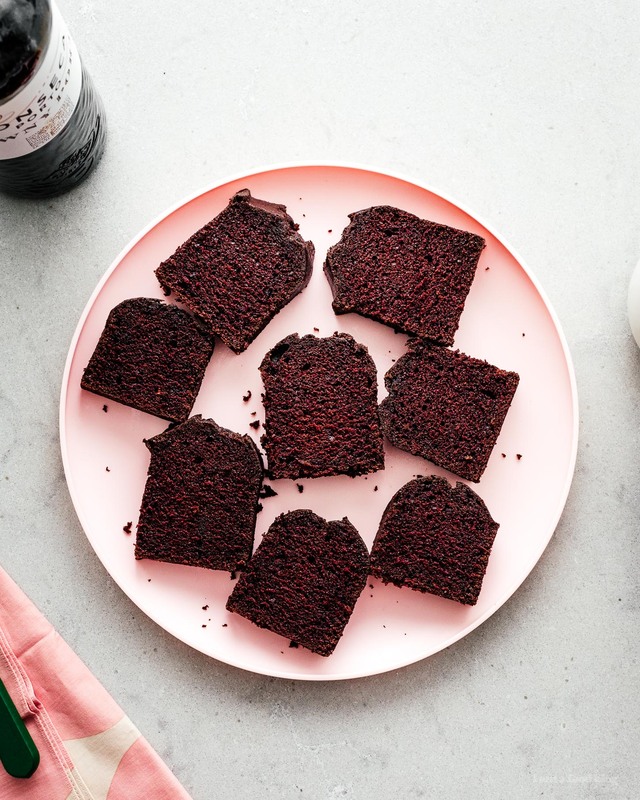 I’ve also heard of people subbing out the water for coffee which apparently makes the cake even more chocolatey, but I haven’t tried that myself. 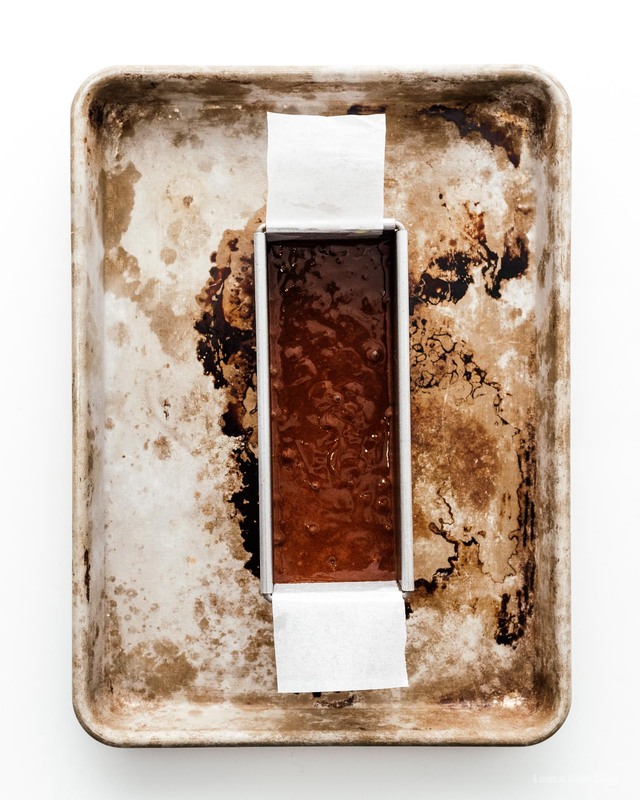 Heat the oven to 350°F.Lightly oil and flour pan a mini loaf pan (6×3 inches or a pan that fits 2 cups liquid) or line with parchment paper. 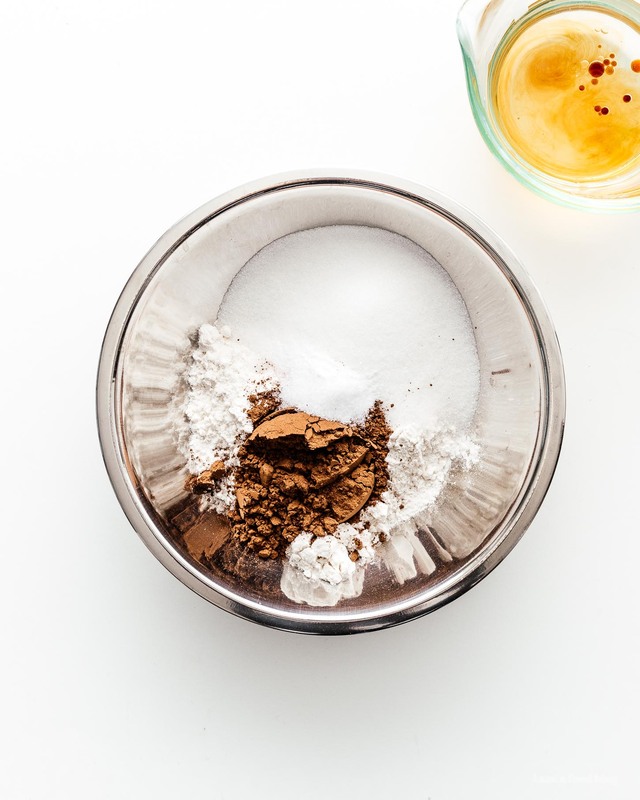 In a bowl, mix together the flour, sugar, cocoa powder, baking soda, and salt. In a liquid measuring cup, mix together the water, oil, vinegar, and vanilla. Combine the liquid ingredients and dry ingredients, mixing until there are no lumps. This cake looks absolutely amazing – that texture is to die for! I can’t wait to make this for a week-long Valentine’s Day treat! I have been loving your small batch Sundays! Your loaves are super easy and quick to make and I usually already have all the ingredients. Love that. Both this and the lemon cake were devoured way too fast. I did use coffee instead of water here and it was great. Can’t wait for more! Thanks!